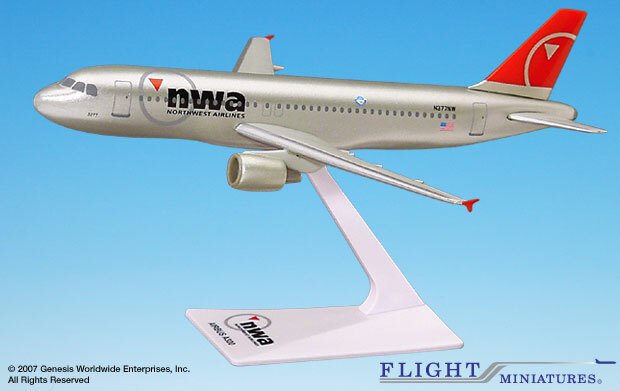 In April 2003, Northwest Airlines introduced its first new livery since 1989, to be phased into the entire Northwest fleet over a five year period during regularly scheduled repainting. In 2009 Northwest merged with Delta Air Lines ending the use of this livery. The Airbus A320 is a twin-engine narrow-body jet used for short and medium-haul routes. Typically seating of the A320 is 150 passengers in two classes with a range of up to 5,700 km/3,050 nm.